Teams can make roster changes until April 22. 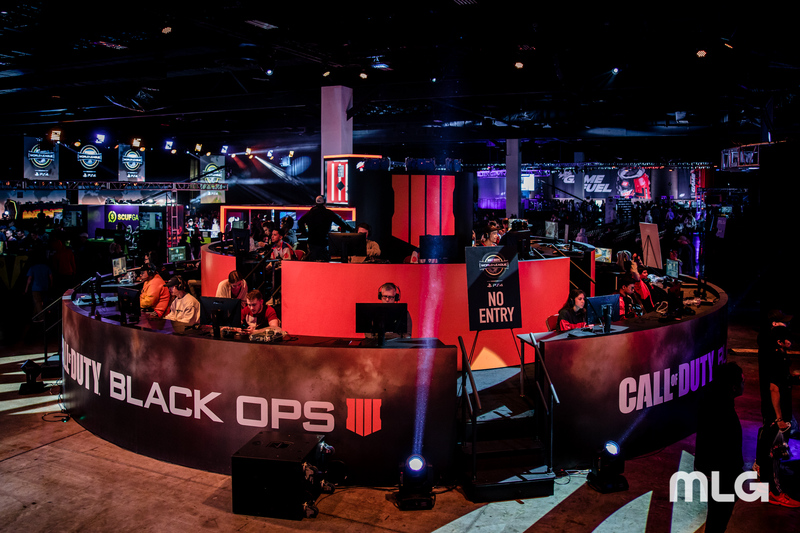 Prepare yourselves, Call of Duty fans—another period of rostermania in the Black Ops 4 season is now live. The latest Call of Duty World League roster movement period officially began on April 5. All 16 teams in the 2019 CWL Pro League can make unlimited roster changes until 5pm CT on April 22. The second roster movement period is now live: #CWLPS4 Pro League teams can make roster changes between now and April 22 6pm ET. This is the second roster movement period of the 2019 season. The first rostermania took place from March 1 to 8—and several teams were involved. Gen.G, Midnight, Excelerate, Evil Geniuses, Enigma6, UYU, and Reciprocity all made at least one roster change to their starting lineup during the March rostermania. This April roster movement period is even longer than the first one, though—so more teams may be inclined to make some changes heading into CWL London in May. This article will serve as a compilation of all the confirmed roster changes from major teams in the competitive Call of Duty scene. FaZe Clan returned to the CWL Pro League on April 20. FaZe acquired Red Reserve’s spot in the league and will feature a roster including Thomas “ZooMaa” Paparatto, McArthur “Cellium” Jovel, Matthew “Skrapz” Marshall, Trei “Zer0” Morris, and Obey Asim. UYU unveiled its new lineup on April 19. Matthew “Royalty” Faithfull will now be playing alongside Anthony “Methodz” Zinni, Mehran “Mayhem” Anjomshoa, Nicholas “Proto” Maldonado, and Saul “Parzelion” Masse-Siguenza. Denial Esports introduced its new lineup on April 19. The organization has signed Joseph “Joee” Pinnington, Rhys “Rated” Price, Ben Bance, Carson “Brack” Newberry, and Alex “Alexx” Carpenter. EG acquired Bryan “Apathy” Zhelyazkov from Team Envy on April 18. It’s unclear exactly who else will compete alongside Apathy on EG’s revamped roster, however. Envy introduced its new lineup on April 18. Maurice “Fero” Henriquez and Jacob “Decemate” Cato have replaced Adam “Assault” Garcia and Apathy. Fero and Decemate will compete alongside Patrick “ACHES” Price, Justin “SiLLY” Fargo-Palmer, and Cuyler “Huke” Garland. Adian “GorgoKnight” Provenzano joined Midnight Esports’ starting lineup on April 16 in place of Renato “Saints” Forza. GorgoKnight will likely only compete with Midnight at CWL London due to Saints’ travel issues—he’s never competed at an event outside of the U.S. Midnight’s lineup for CWL London will include Devin “LlamaGod” Tran, Christopher “Parasite” Duarte, Andres Lacefield, Rasim “Blazt” Ogresevic, and GorgoKnight. EG’s rumored roster features John “Xotic” Bruno, Dillon “Attach” Price, Jordan “JKap” Kaplan, Apathy, and Timothy “Phantomz” Landis. This article will be updated regularly as roster changes are confirmed.